Analytical Armadillo: Breastfeeding, Dispatches & Society - Can We Provoke Change? Breastfeeding, Dispatches & Society - Can We Provoke Change? As a flurry of breastfeeding related news hits the headlines in anticipation of the upcoming Dispatches documentary, "discussions" reach boiling point in some quarters and I have to wonder where do we even begin to provoke the paradigm shift needed? In the documentary preview, we can see the a clearly distressed mum needs help breastfeeding, yet her nearest support group is now two hours away. Budget cuts mean her local one was closed. As I highlighted in 2015, parents are being failed on a spectacular scale. Not just because of the lack of funding for support in recent years, because let's not pretend that we had good breastfeeding rates before. It's an area that's long been problematic; some groups headed up by appropriately trained staff and providing a first class service, others whilst well-intentioned but manned by those working beyond remit and with inadequate supervision. Parents deserve appropriately qualified, timely, effective, appropriately funded support - but the problem is much wider reaching. Celebrities, the media, medicine, scientists and society as a whole fails mothers. We tell them to cover up, put it in a bottle, feed in a toilet and make babies independent ASAP (ideally in their own room, sleeping 12 hours per night and "self soothing"). We promote detachment, creating a non-breastfeeding culture and then blame those who are a product of the world they live in. We can then throw in the "Mummy Wars", a concept created and marketed to mothers by formula companies. This campaign also successfully resulted in a direct reduction of feeding related information shared across social media networks, the risk of provoking "guilt" - reducing support and overall information even further. 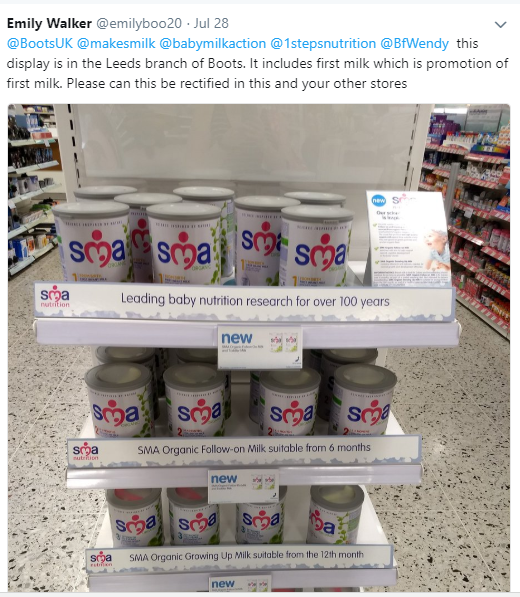 We also have formula companies pushing the "breast is best" message, a recognised marketing technique to induce sales. As a result academics, highly respected scientists and doctors - talk about the "benefits" of a mammal consuming same species milk. 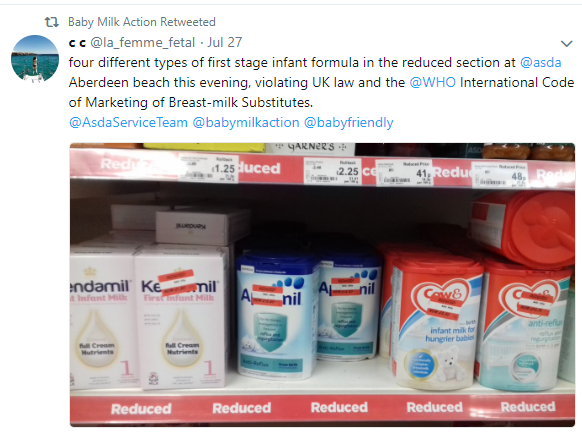 They conduct studies that hold those not breastfed as the norm against which they compare the outcomes of those who are - creating the illusion of "benefit". If we hold breastfeeding as the norm against which we compare the outcome of alternatives, we would find ourselves exploring risks. 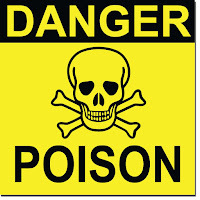 Far more beneficial to medicine and science as a whole, but far less desirable when it comes to formula sales. We have campaigns like "Fed is Best" - where retired doctors from completely unrelated fields (and some I suspect suffering their own trauma), wave their HCP status like a banner - right before gas-lighting mothers that how they feed their babies doesn't really matter anyway. Yet mothers, grandmothers, sisters, aunts tell us it does. Long before science extolled the "benefits", many mothers had a primal, instinctive drive to feed their young. The emotion provoked as they unpack their breastfeeding grief, is proof alone that we need to support mothers whatever journey unfolds. 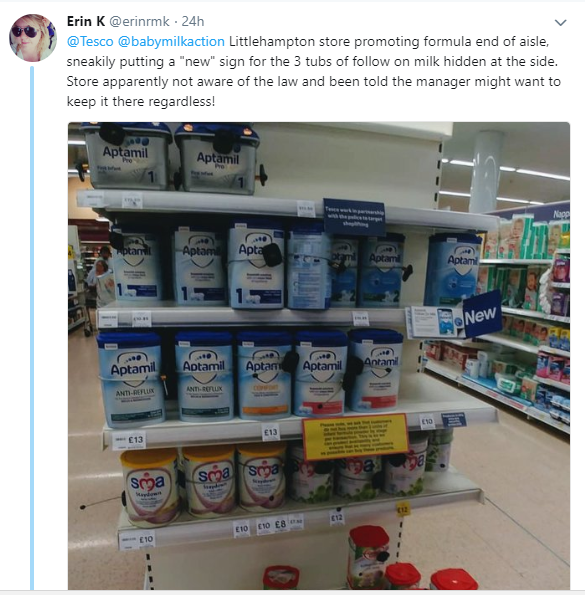 We have Baby Milk Action reporting as doctors like Ellie Cannon joined the Nestle payroll. Turning next to the Daily Mail this week to tell people breast isn't best so "stop bashing" bottle feeders. "Studies do show that five per cent of breast-cancer rates are attributable to not breastfeeding. So there is an effect – but it’s small and I don’t believe it poses enough of a risk to be a worry for my patients who do not breastfeed." There are so many problems with this comment. First, where is this statistic even pulled from? There isn't a citation. "From the 13 [studies] that evaluated the effect of length of breast-feeding, the report finds that for every 5 months of breast-feeding duration, there is a 2 percent lower risk of breast cancer. A rather different statistic to ponder as the WHO recommendation of at least two years would result in a reduction of almost 10%, double that quoted by Cannon. Second whether that risk was significant for your patient would also surely depend on their other factors such as a family history and other health concerns? Can we make sweeping generalisations about the health of individuals? Third, shouldn't patients get to decide whether they feel it's enough of a risk to "be a worry"? Don't they deserve unbiased advice? After briefly mentioning asthma and obesity (two conditions from hundreds), we learn that a "study from Brussels" found as long as we add prebiotics, "the health benefits for infants could be almost identical to that provided by human breast milk". There's no citation and try as I may I can't turn up any such study. The Daily Mail also tells us in a separate article that "2/3rds of people think breastmilk and formula are "no different" anyway. Despite science telling us otherwise, the general public aren't convinced! Well I can't think why, can you Dr Cannon? We have the volunteer breastfeeding organisations manned by unpaid staff, propping up the entire system - one in which highly paid healthcare professionals refer mums to volunteers donating their time for only minimal expenses. 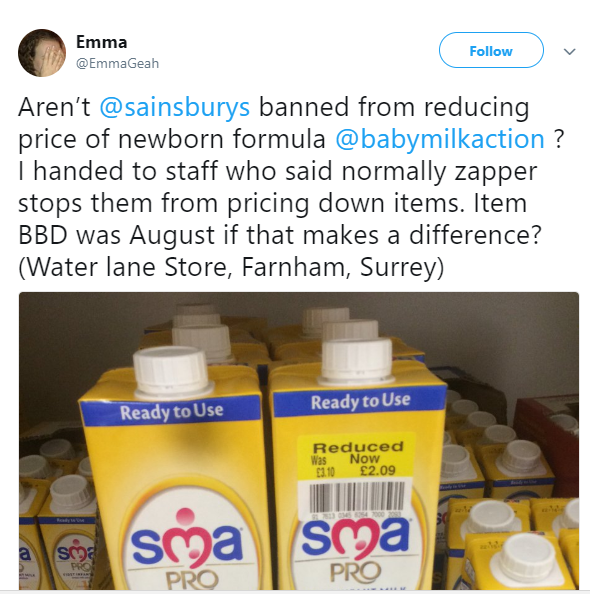 Breastfeeding is competing with a multi-billion pound industry and it's a battle we're clearly not winning. We can't pretend how we feed our babies doesn't matter, yet the alternative - to recognise it does and yet leave people with completely inadequate support is just as bad. Even with support, without society on board- we can only get so far. Yet a huge chunk of society including many health professionals have themselves been failed and cognitive dissonance is the biggest barrier of all. We need our government to step up and take the lead with funding, but we need to think much bigger and better to hope for it to be more than a drop in the ocean.